Frédéric specializes in public law, in particular urban planning and zoning, administrative law and State liability. He acts both as advisor and litigator. He assists and defends a French and foreign clientele comprising primarily companies operating on the real estate development market, local authorities, public institutions, architects and private individuals in connection with urban planning / zoning procedures and real estate transactions (project audit, delivery of urban planning / zoning authorizations, defense on appeal against granted authorizations, such as prior notifications of works to be performed, construction and development permits, infringement of third-parties’ rights, etc.). 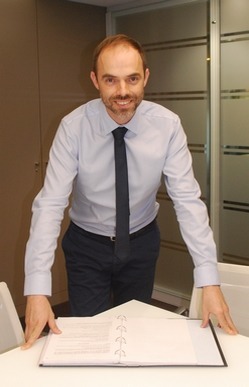 Frédéric also provides legal advice and assistance in administrative law on all issues and disputes likely to arise in connection with administrative authorities (appeal against administrative decisions, liability of the State and local public authorities, etc.). Advised and defended stakeholders before administrative courts in State liability cases (damages resulting from public civil engineering works, operation of public services) as well as in cases concerning the legislation and regulation governing local public authorities and general administrative law.